* Setting an initial value will be propagated correctly. * Full UI Automation hierarchy implimented. * Renamed the BalloonHint states to TimeHint. * Changed the template to have two ContentPresenters instead of ContentControls. * Fixed bug where switching between content would raise exception in certain scenarios. * Handles setting the Transition to a transition that is not yet there (if template hasn’t been loaded yet). * Space bar now moves the DomainUpDown into edit mode. * Better handling of mouse-events in edit mode. * WPF is now an official platform for Charting! * Breaking Change: IRequireGlobalSeriesIndex’s GlobalSeriesIndexChanged method takes a nullable int parameter. * Improved performance of internal data structures for many common scenarios. * Numerous bug fixes for animation inconsistencies between Silverlight and WPF. * Fixed handling of data objects with non-unique hash codes. * Breaking Change: The “DropDownToggle” template part of type ToggleButton has been removed. * Breaking Change: New template part: “Selector”, typeof(Selector). * Breaking Change: Renamed virtual method: TryGetSelectionAdapter(object o) is now GetSelectionAdapterPart(). * Breaking Change: AutoCompleteSearchMode is now AutoCompleteFilterMode (enum). * Get various collections representing the items and their containers. * Get an items host or ScrollViewer. * Enable mouse wheel scrolling in XAML! * Scroll by page or line. * Scroll to top, bottom, left or right. * Scroll items into view. * Expand and collapse items. * Get items and their containers for parents, siblings and descendants. With the new Silverlight Toolkit, you can now enjoy more seamless web development experience with Silverlight 3. To get know more about Silverlight 3 hosting plan, log on to http://www.seekdotnet.com today. Finding Suitable Tools for Your Silverlight Website? The tool described below will answer your questions on finding the suitable tools for editing and creating your Silverlight website you desired about. The Silverlight Toolkit is a collection of Silverlight controls, components and utilities made available outside the normal Silverlight release cycle. It adds new functionality quickly for designers and developers, and provides the community an efficient way to help shape product development by contributing ideas and bug reports. It includes full source code, unit tests, samples and documentation for 16 new controls covering charting, styling, layout, and user input. the Silverlight Toolkit is released under the Microsoft Public License, so everyone, no matter a normal users, webmasters, developers or organization can download the toolkit and experience the great features that included. This is will a great masterpiece of tools that will assist you to design your Silverlight website before you deploy to your web application to your hosting server. More features and upgrades will be available soon. You’re welcome to leave a feedback or any suggestions after using the toolkit which might be helping the developer team to provide update / fixes for the toolkit. If you are looking for Silverlight hosting compatible hosting plan, visit http://www.seekdotnet.com to find out more or consult with the hosting support specialist for the suitable hosting plan. Silverlight 3 Hosting – What’s New in Silverlight 3.0 Technology? 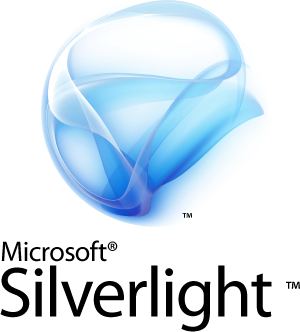 Microsoft Silverlight has been improved tremendously since the released of version 1. Due to excellent demand from many web developers world wide to create more dymanic looking website, the latest Silverlight version 3 has been released! Unlike Silverlight 2, which allowed the applications to save files only to the local isostorage, Silverlight 3 applications now can save to any location on the file system via the system Save File dialog. More good news is that Silverlight applications are cached too so that they need not be redownloaded for subsequent instantiations of the application. Silverlight applications can be installed to the system for offline access and they be used using the Start Menu or desktop shortcuts, and run without the browser window. So users can check whether the applications are operates under the browser or vice versa. DataGrid, TreeView, various layout panels, DataForm for forms-driven applications and DataPager for viewing paginated data. Silverlight 3 also included with a navigation framework to let Silverlight applications use the hyperlinked navigation model as well as enabling deep-linking. Users and developers can now fully utilize the latest Silverlight 3 to design and create more “eye-catching” websites. The market demand for Silverlight hosting plan are also increased lately. Why are Silverlight Website Special? Microsoft has positioned Microsoft Expression Blend versions 2.0 and 2.5 for designing the UI of Silverlight 1.0 and 2 applications respectively. Visual Studio 2008 can be used to develop and debug Silverlight applications. To create Silverlight projects and let the compiler target CoreCLR, Visual Studio 2008 requires the Silverlight Tools for Visual Studio. 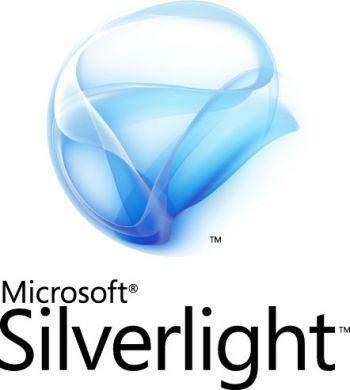 Silverlight applications can be written in any .NET programming language. Because of this reason, any development tools which can be used with .NET languages can work with Silverlight, provided they can target the Silverlight CoreCLR for hosting the application, instead of the .NET Framework CLR. A Silverlight project contains the Silverlight.js and CreateSilverlight.js files which initializes the Silverlight plugin for use in HTML pages, a XAML file for the UI, and code-behind files for the application code. Silverlight applications are debugged in a manner similar to ASP.NET applications. Visual Studio’s CLR Remote Cross Platform Debugging feature can be used to debug Silverlight applications running on a different platform as well. In conjunction with the release of Silverlight 2.0 Eclipse was added as a development tool option. You can start to host your Silverlight enabled website now with Silverlight hosting plan at SeekDotNet.com.